Dr. Gary Gruber, is professor of Environmental Medicine at the University of Bridgeport College of Naturopathic Medicine. A licensed Naturopathic Physician and practitioner, he is recognized as Fairfield County’s leading voice in Environmental Medicine. He provides healthy, natural, and holistic solutions to counteract the diseases and illnesses facing our society. His practice serves patients challenged by a wide range of issues from acute illnesses to chronic ailments, and he provides advice and treatments on clinical nutrition, botanical medicine, homeopathy, acupuncture, and physical medicine. A Naturopathic physician practicing in New Canaan, CT & Stamford, CT, Dr. Gruber is highly trained in both conventional and traditional (natural) medicine. To assist his patients in achieving their desired health and wellness he uses traditional blood, urine and stool analysis that provide patterns of information. Also, he is aligned with state-of-the-art laboratories that provide patients with metabolic, immunologic, toxicological, and functional analysis. 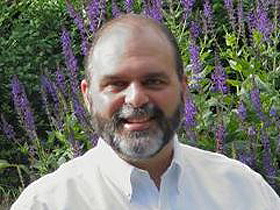 He is a certified practitioner of HeartMath, a technique that aids patients with stress management. With his keen insight patients learn how to apply principles of consciousness to all levels of self-healing. Dr. Gruber is a member of Stanwich Congregational Church and lives with his wife and daughter in New Canaan, CT. Learn More About Family And Environmental Medicine!